A Hoffman's two-toed sloth baby was born last week at the Lincoln Park Zoo. 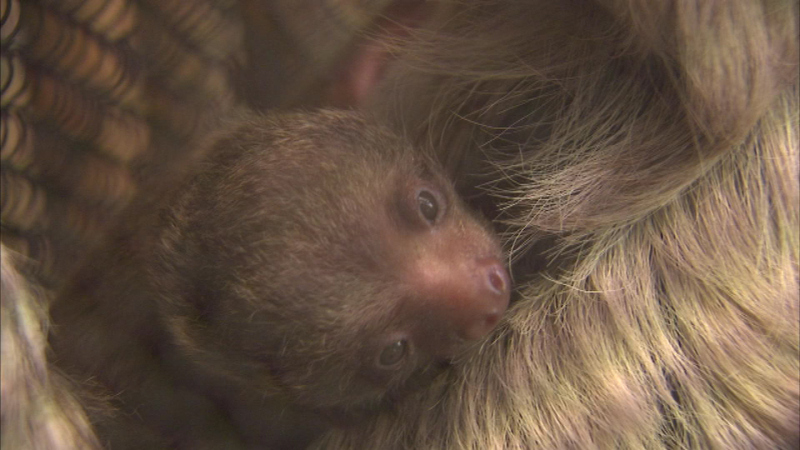 CHICAGO (WLS) -- Way in the back corner and behind a mesh screen, a baby sloth was born at Lincoln Park Zoo's small mammal House. "We knew that the mother was looking a little round in the abdomen but we weren't positive. So it was a bit of surprise to us," Dan Boehm, zoological manager at Lincoln Park Zoo, said. Hershey, 21, gave birth on July 25, 2015. 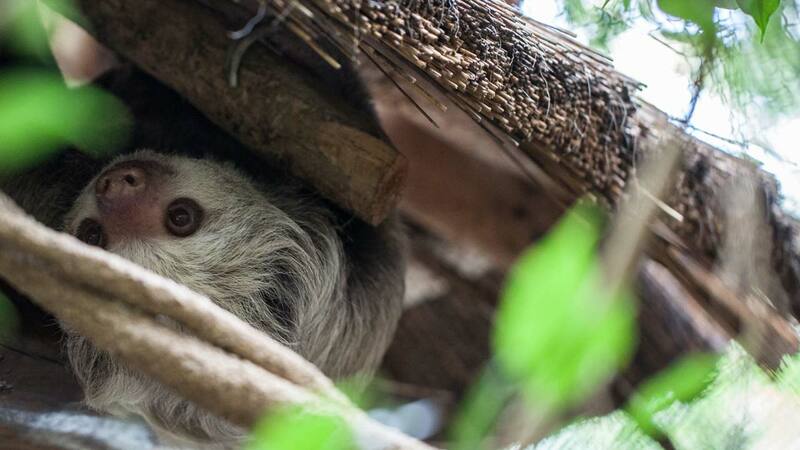 It's been five years since the last two-toed sloth was born at the zoo. "The baby seems to be doing really well," Eva Gaya, assistant keeper, said. "As of recently the baby's been showing a lot of interest in feeding and eating what mom is eating." A baby sloth born on July 25, 2015, clings to its mother at the Lincoln Park Zoo. "She woke up, had her breakfast and then decided to cruise around the exhibit. Very slowly," Boehm said. "I haven't seen the baby move but I have seen the mother move," Charlotte McCartney, zoo visitor, said. "I like sloths." Sloths spend their lives in trees. Their pace is so slow that algae can grow on their backs. "Many species will. They actually move that little. Their fur gets that moist that they grow moss and algae," Boehm said. The baby's father, Carlos, slept through the entire ABC7 Chicago interview.